Corporate Decals and Stickers are a fantastic way to ingrain brand identity with your customer base. By branding your packaging and products, and supplying your logo decals and stickers to your clients, you’re keeping your corporate identity in front of the public and providing a very simple way of advertising to existing and potential clientele. They also allow you to share your school spirit when applied to schools, colleges and academic organizations. Rochester Signs and Graphics can create beautiful, full-color decals and stickers in most any size, shape and quantity at competitive prices. Reorders are fast and efficient! Looking to display your QR-Code or Social Media links? Place your QR-Code on your corporate or company vehicles providing links and/or info to your customers/potential clients. Menus, specials, website links, whatever you can think of can be translated to your clients phone for easy access, especially when your not at the office or your company is closed. 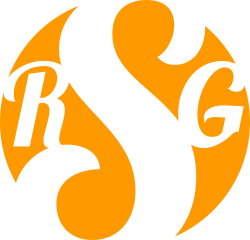 Contact RSG today for your free quote at 585-755-6200, or enter a Quote Request here.